This review is about item#5517906. For DIY, it is good quality, best price and cheapest. This review is about item#5517504. It is used for set screws. This review is about item#5517382. I used a lot to cover the shoot cover. Cheap is attractive. This review is about item#38141406. I bought M 16. 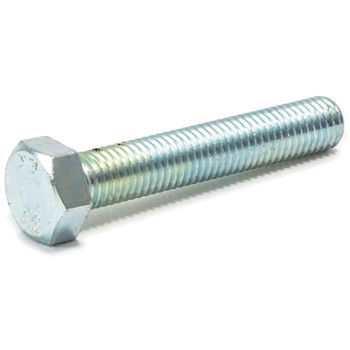 Because it is a relatively large bolt, handling it sloppy will cause the bolts to collide with each other and the screw thread will collapse and the place where the nut will be caught will come out. It is less than 10%, but since it hits the screw saying so, please pay attention to the handling of the product. This review is about item#67730442. I use it for the legs of the table. It is good to buy cheaply even in small quantities. Even if it is cheap, it is safe because it has enough strength. This review is about item#5517836. This review is about item#38141381. Because we use a lot of bolts and nuts for repair and maintenance of machines, the more expensive it is, the more expensive it will be saved. This review is about item#5517802. I do not use it yet because it is considerably cheaper than home center. This review is about item#5517775. This review is about item#5517452.